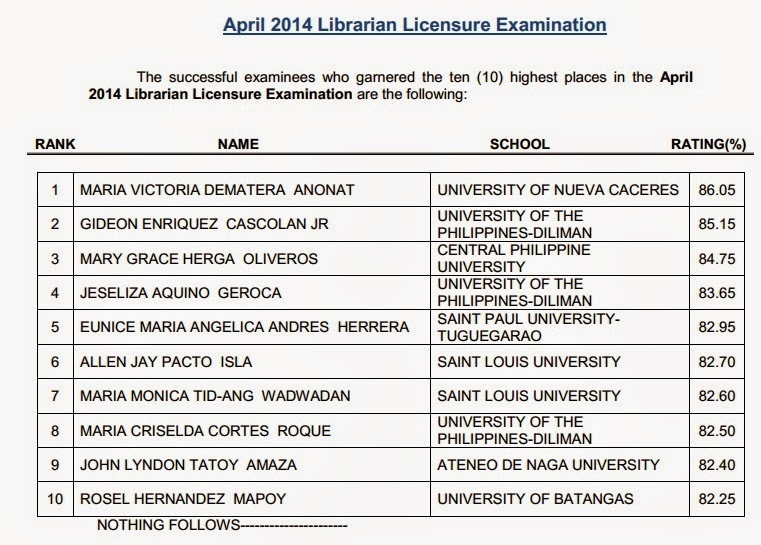 The Professional Regulation Commission (PRC) on Tuesday, April 29, 2014 announced the list of passers for April 2014 Librarian board exam. Maria Victoria Dematera Anonat from University of Nueva Caceres topped the board with 86.05 percent grade. Gideon Enriquez Cascolan Jr. of University of the Philippines (UP)- Diliman ranked second with 85.15% grade.